I'm finished with my part of Heather's quilt for this round of Round Trip Quilts. 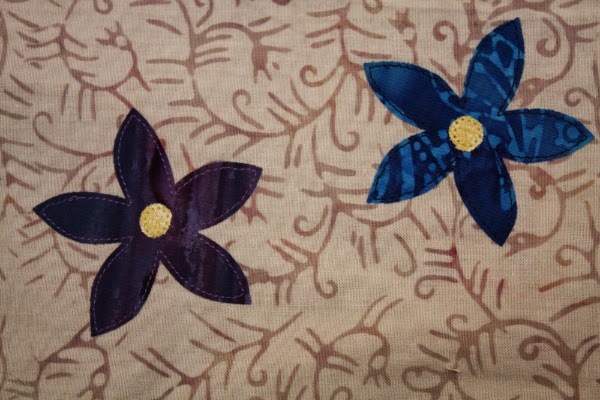 Those purple flowers look much better now that they have some stitching! When I shared a progress shot on Instagram, Heather commented that she doesn't have the patience for applique, which struck me as very funny considering what word is in this section of the quilt! Here is what all the sections look like together. Heather is planning to make this into a twin size quilt, so there's still lots of work to go. I can't wait to see what everyone else adds. Christine, of Wips and Tuts, has finished her beautiful addition to my quilt too. You can see it here. We are now halfway through this round robin project, and all the quilts are looking amazing. Click here to visit the page on Jennifer's blog with the links to see all the quilts. Have you seen Craftsy's free BOM class for 2015? I love Jinny Beyer's books Quiltmaking by Hand and The Quilter's Album of Patchwork Patterns. 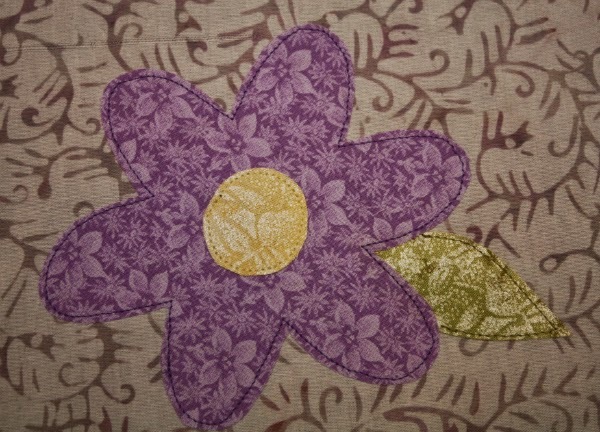 Jinny's quilts are gorgeous, so I'm really looking forward to all the tips she'll share over the course of this year. Are you signed up for the BOM? And, in other Craftsy news, they're having a sale this weekend! What do you want to create in 2015? Bring your creative visions to life with Craftsy's New Year, New You FLASH SALE happening right now! Get up to 50% off popular online classes you'll love, and make this year your year. Plus, don't miss the 35+ new classes included! Hurry, offer expires Sunday, January 18th, 2015 at 11:59 PM MT. Shop Craftsy's New Year, New You Flash Sale now to save! Learn for life! Once you enroll you'll own your Craftsy classes forever, so you can watch them at your pace in the comfort of your home, anytime. Check out all the classes available to you now! I bought the fabrics for the Irish Chain wedding quilt last night and I'm hoping to start cutting out pieces this evening. The clock is ticking on this project! 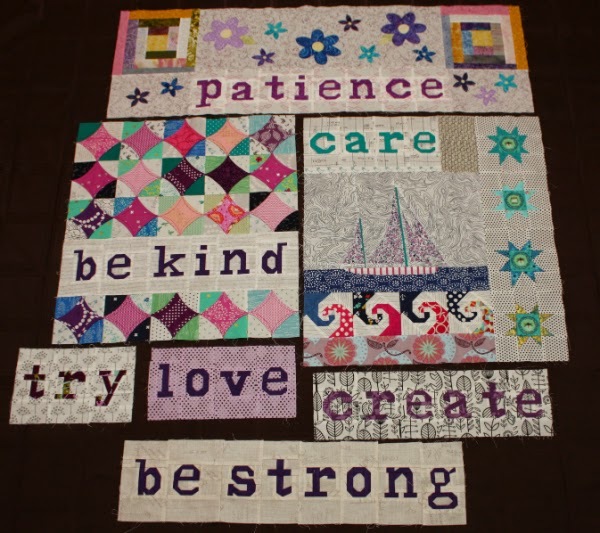 wow, all that fussy piecing does take patience, but will end in a beautiful quilt. Thanks for the Craftsy info. You letters are just wonderful...mine always have a tendency to be a little bit more wonky! Love the progress of this quilt so far!!! I have loved Jinny Beyers fabrics and patterns for years and even collected dozens of border prints in hopes of one day making a sampler. Now I can get started (maybe). I just bought her free class. Thanks for pointing it out.